19 December 2010. 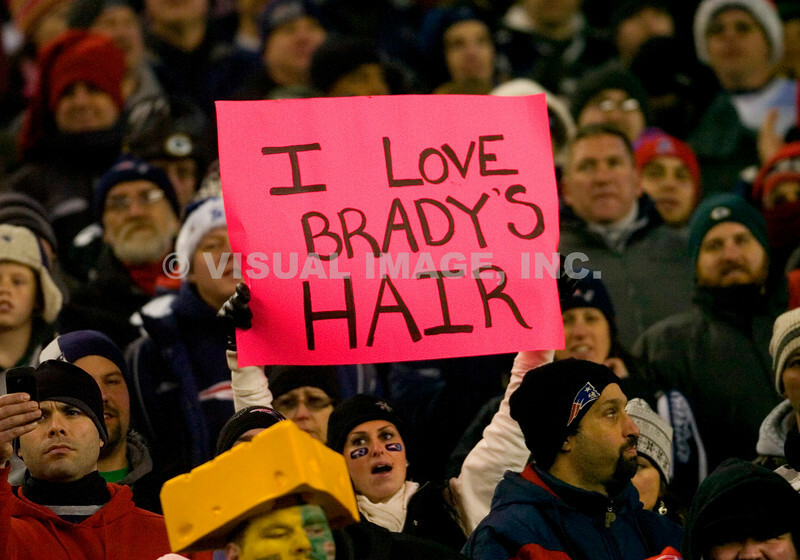 A Patriot fan holds a sign. The New England Patriots defeated the Green Bay Packers 31 to 27 on a Sunday night game at Gillette Stadium in Foxboro, Massachusetts. PatriotsPatsNew England PatriotsFootballNFLNew EnglandGillette Stadium249Sunday NightSunday Night FootballNBCGreen BayGreen Bay PackersPackersFansPatriot FansSignSignageCrowdStadium Crowd.249101219067Tom Croke Visual Image Inc.